Your commute to the airport should be the least of your concerns. The focus should be you getting there safely and on time. Frequent travelers know that every airport is unique. Fortunately, Prime Time Limousine fixed-rate Airport Service offers consistent quality you can count on. Our chauffeurs are trained to maintain familiarity with the layout, logistical details and surrounding traffic patterns of the airports they serve. In addition, the chauffeur stays in constant cell phone contact – eliminating potential problems that may occur with getting you to or from your flight. Our chauffeurs offer assistance with your luggage and other items. We provide top of the line cars including stretch limos and luxury sedans for car service. As we have invested heavily in these vehicles, we are able to give top notch services that meet or exceed our client’s expectations. 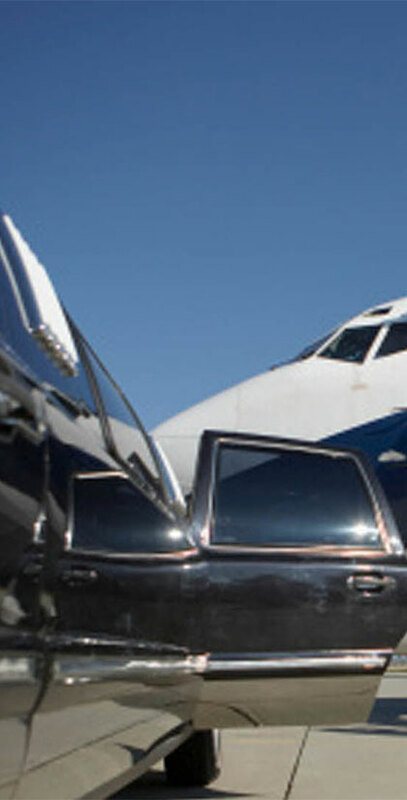 Our Airport limo rates are comparable and we offer package deals for inter-state service.